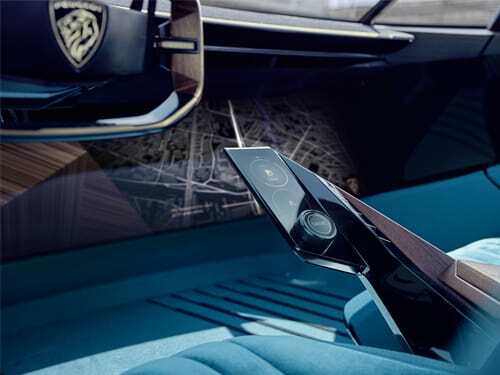 Peugeot have revealed a new concept vehicle, that takes inspiration from the classic Peugeot 504 Coupe whilst looking towards the brands future. 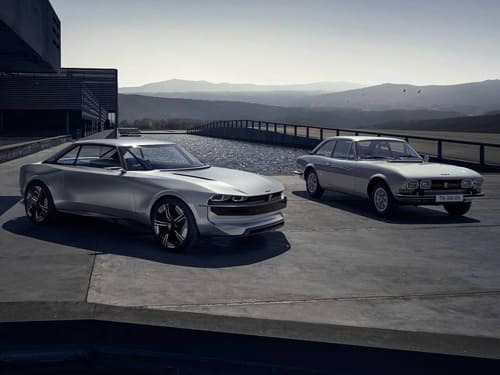 The Peugeot E-Legend concept has debuted at the 2018 Paris Motor Show, previewing what is to come for the brands future models with subtle nods to the iconic Peugeot 504 Coupe of yesteryear. 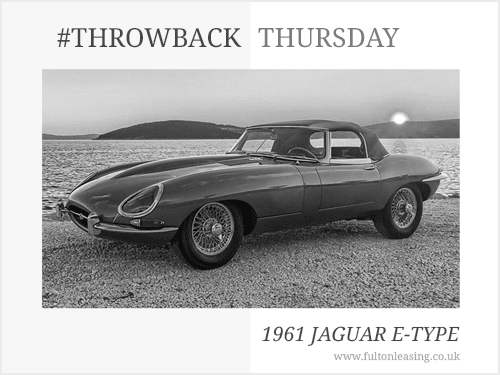 These hints to the past model include the dual headlights that reside either side of the grille, with the overall shape and angle of the roofline inspired heavily by the vintage model. More notable however is the modern technology featured. The interior of the vehicle is both minimalistic and futuristic, with a wide range of advanced technology on board. 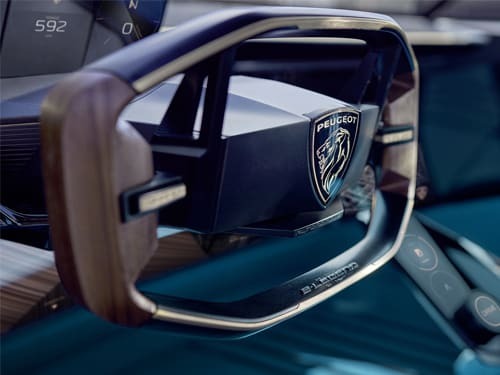 This includes a huge display that spans the interior, with a steering wheel that retracts in autonomous mode, and a heads-up display for when the vehicle is being driven. The striking exterior is matched with the interior featuring a a gold and high contrast blue colour scheme throughout, with dark wood finishes. Two autonomous modes feature named Soft and Sharp. Soft is for a more relaxed experienced whilst being driven, whilst Sharp makes use of the screens to entertain occupants. Two manual modes also feature called Legend and Boost. Legend is a more traditional form of driving, whilst Boost turns to 49 inch screen into a virtual reality that represents the world outside the car in real time. 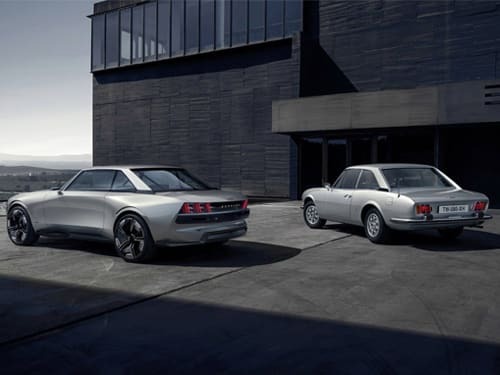 The Peugeot E-Legend is powered by a 100kWh battery, with electric motors delivering this to all four wheels. Whilst this is far from a production version, or even a prototype at this stage, the concept claims a 456bhp power output. 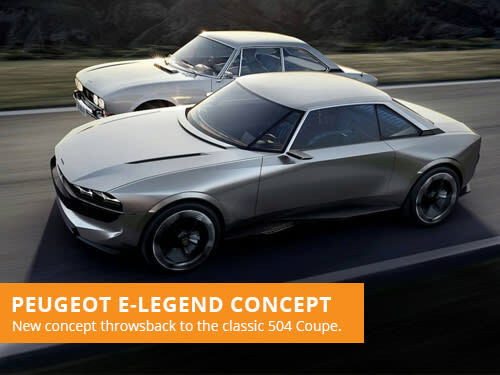 The E-Legend concept can theoretically reach 62mph in just four seconds, with a top speed of 140mph. It would have a range of around 370 miles, and could fast charge 310 miles of range in only 25 minutes. The Peugeot E-Legend is both a throwback and an inspiration to future models. If you are looking to lease a Peugeot, take a look at our offers. With over 36 years of leasing experience, we are one of the most established brokers in the industry. Our leasing advisors focus on providing great customer service over our own profits, with a consultative approach to vehicle leasing. 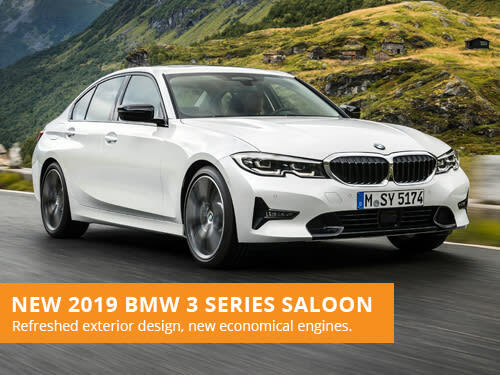 BMW have revealed their all new 2019 BMW 3 Series at this years Paris Motor Show, with a fresh new exterior design and refined engine range.